You are here: Home » How Can I Find Contentment? How Can I Find Contentment? We have a guest post today from Candra Evans from Abundantly You. When I first read this blog post of hers months ago it deeply resonated with me. Mostly because I see similarities in her story and my story. Mostly because we see dating and singleness in a lot of the same ways. But then this blog came rushing back into my mind when I wrestled through this great and seemingly-ironic truth of how a living a life of contentment is really a part of living brave. On the surface, those two seem like antonyms. But the truth is to live with contentment is to declare “I am enough” as I am letting time do its work to help me meet my goals. That is a brave statement. 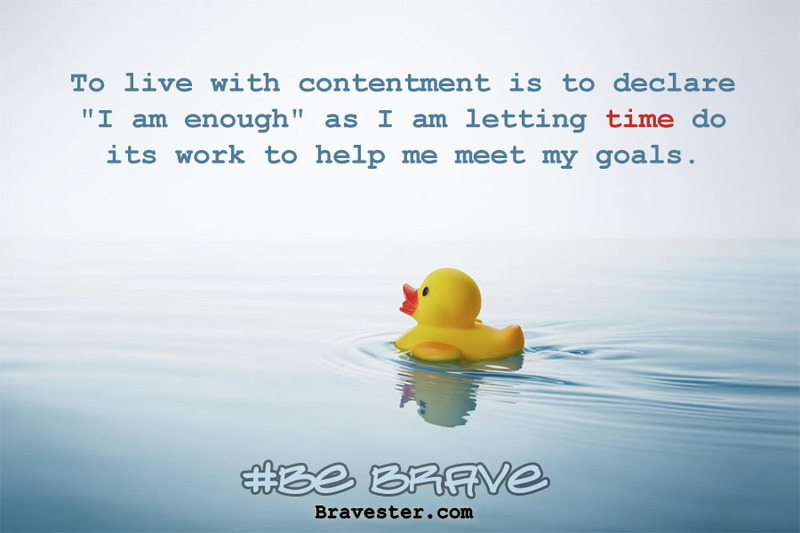 So I gladly share with you what Candra has learned about finding contentment so she can share her brave story with you. You also can do this, brave one. About this time 7 years ago, I was 34 and finally content with the single life. I still wanted very much to be married, but God delivered me from the anxiety of it all. After a few hurtful crushes, dating catastrophes, and years of not dating at all, I had a good sit down with myself. Better yet, I had a good sit down with God. Actually it was more that I was sprawled out on the floor soaking my carpet with tears. Sometimes you know exactly what you need to do, but you have no idea where to begin. This is the place where most people resort to repeating the same bad habits. It’s unfulfilling, but it’s familiar. That was me for a long time. Then I realized that the rare jewel of contentment wouldn’t just fall in my lap. I wanted God to rain contentment down on me like a heavy rain. You know those storms where the wind blows the rain sideways? I wanted contentment to come like that, sideways into my heart. Then all would be well with my soul. But I have found that growing in any area of life takes work. Even faith without works is dead. You have to take action to lose weight. It takes work to maintain healthy relationships. You have to work hard to become successful. A teacher once told me that anything worth having is worth working for. Again and again I read, “But godliness with contentment is great gain” (1 Timothy 6:6). But once again, where do I start? 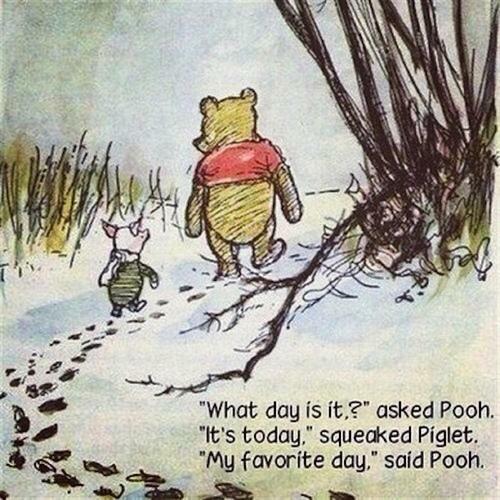 What shook me to my core was the fact that I had spent years doing nothing but idly waiting for something wonderful. I went to work. I went to college. I went to church. But overall, I didn’t have a real life. Is it any wonder I struggled to be content? After my “face to the floor” encounter with God, I humbly asked the question. How can I find contentment? After serving God for many years already, it seemed like a dumb question. I should know this already. But I honestly had no idea. In my most depressed state, the Holy Spirit directed me to live…not exist, but live the life I was given. Singleness has no bearing on abundant living unless I allowed it. So I made deliberate changes in my life. Every action was prayerfully calculated. If I wanted a different result, I had to work to make a change. For example, I had to stop twirling my head around every time the church door opened hoping that it was Brother So-and-So. The main take away of this post is not that if you do what I did, you’ll find contentment too. The bottom line is you have to be willing to put your faith to work. If you’re not happy, ask God for direction and do something about it. There was more than just singleness holding me back from true contentment. Marriage is not the only cure for a discontent single. Sometimes marriage isn’t a cure at all. God is so much bigger than that, and He loves you so much more. I started a fitness journey. A healthy body leads to a healthier frame of mind. I separated myself from toxic people. This meant that I stood out on my own for a while but at the end of the day…..Yay! I started a regular prayer and fasting schedule. Healing, truth, direction, love, and joy is all in the presence of God. If I had to prayer every hour, then so be it. I started writing. It was therapeutic and gave me clarity. I engaged in Social Media which turned into blessed offline connections. I went through Dave Ramsey’s Financial Peace University. This taught me self-control. I read a book or two. (I know this is an insult to book lovers, but back then I only read the Bible.) Anyone else love Lynn Austin? I made friends with like-minded singles (with both men and women). Their persistence to please God kept me inspired. I became more active in serving others. This taught me gratefulness. I started a Podcast which taught me how to open up and talk freely. Plus it was just plain fun. I started a blog or 2…okay I have had about 6. I discovered a love for road trips and travel. To this day there are things I never would have experienced if I hadn’t traveled solo. I spent more time with those that had my best interest at heart. I learned to not take them for granted. After about 4 years of truly living, I was invited to meet my Ronnie. And wouldn’t you know it; I turned the invitation down. That was a bad choice on my part but I just didn’t feel the dating pressure that once was my normal. Fortunately God is loving enough to lead me to blessings when I’m a little slow. 🙂 God knew that my attention was elsewhere so hallelujah for second chances! I received a second Facebook message to meet Ronnie and that time I said yes. Fast forward 7 years later. Ronnie and I will be celebrating our 5th marriage anniversary in August. We are still happily married are content to stay together into eternity. The irony of it all is that even though my prayer to marry was answered, finding contentment is something that I still work for. The trials of life come calling on everyone’s door. But through Jesus Christ and active faith, the jewel of contentment is revealed. –Candra Evans is a blogger and creator of Abundantly You for Christian Singles. She began blogging about her own Christian single journey in 2009. After many years of waiting, God bless her to marry Pastor Ron Evans, Jr. in 2011. They currently minister and live in Cincinnati, Ohio.